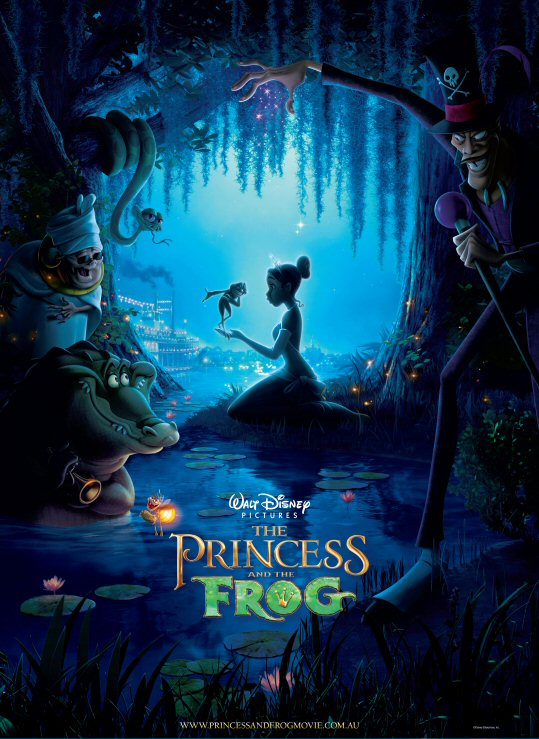 The Princess and the Frog is the 49th film in the Walt Disney Animated Classic series, inspired by the novel The Frog Princess by E.D. Baker. Written and directed by Ron Clements and John Musker. The Princess and the Frog takes place in 1920s New Orleasns, Louisiana and it is Walt Disney Studios first African-American Disney Princess story.